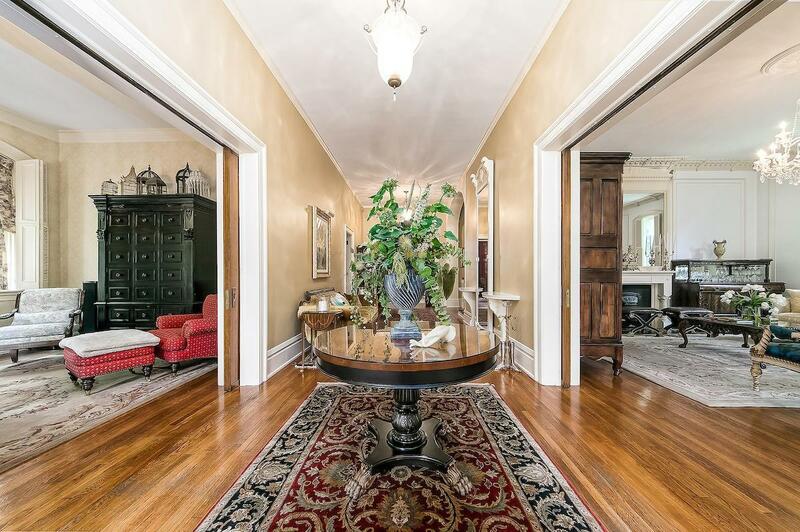 A Historic 3 story brick home built in 1864 and has been restored to its original grandeur. Grand features include 12-foot ceilings, 7 fireplaces, 5 bedrooms, with a potential 6th, back guest entrance with private stairs for access to a 2 room, full bath attic living space. Custom plaster molded trim work, custom trim, crown and base molding throughout. 4.5 bathrooms, 2 with claw foot tubs, original windows, hardwood floors, walk-in closets cedar closet and ample storage throughout. In 2004 a 3-car brick garage with car lift and back porch with a walkout from the master bedroom was added. A great location with many other historic and beautiful buildings. And within walking distance to a school, parks and fine dining.